I re-arranged our pantry area a little over the weekend...there's a linen-sized pantry closet (with folding door removed) and a wall cabinet that hangs up beside it. 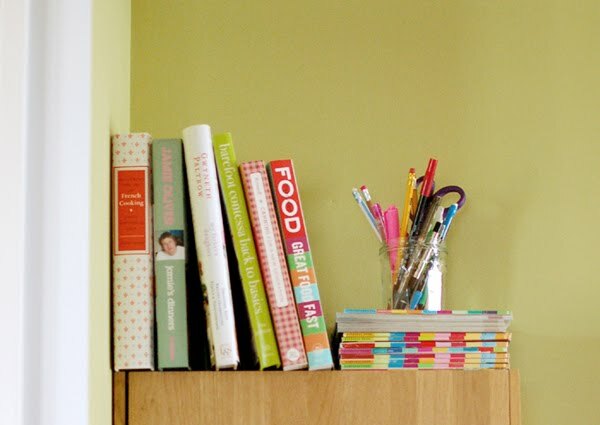 Neither have ever been very sightly or well organized, and I began by turning the wall cabinet into a recipe station for my favorite cookbooks, recipes, and handy items (I love it so far). i love the idea of a recipe station - so cute and useful! thanks for sharing. 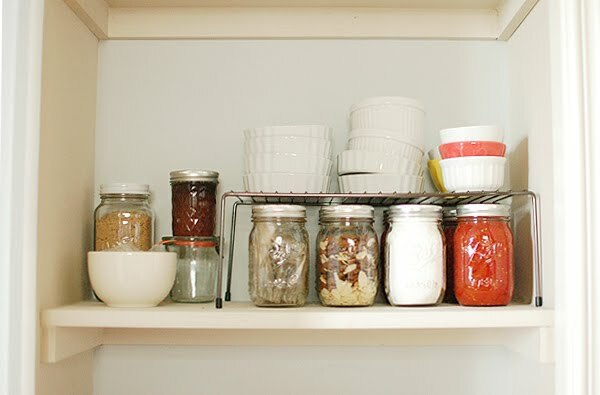 Love how the addition of a shelf in the pantry can give you so much more space! 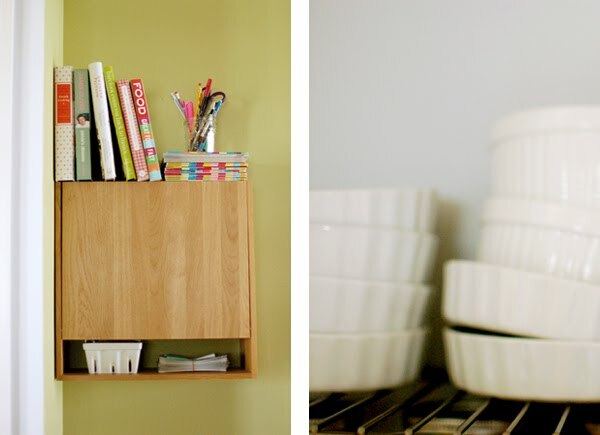 Oh my gosh I am so inspired to do some organizing around these parts -- I need to follow suit. so inspire me. thank you for sharing. 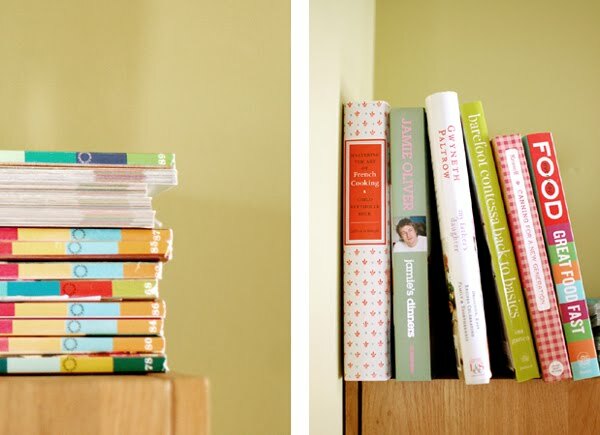 Do you like Julia Child's book? I am tempted to buy it every time I see it at the bookstore, but I'm not sure how much I'm going to use it..